Many peoples speaking about Denial-of-service attacks ( DoS ), they want to shutdown small websites Forums, Gaming Portals, Torrent Websites and more. So today i will guide you through a Tutorial and show how to effectively DoS many Websites. Short for denial-of-service attack, a type of attack on a network that is designed to bring the network to its knees by flooding it with useless traffic. 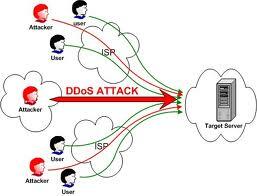 Many DoS attacks, such as the Ping of Death and Teardrop attacks, exploit limitations in the TCP/IP protocols. For all known DoS attacks, there are software fixes that system administrators can install to limit the damage caused by the attacks. But, like viruses, new DoS attacks are constantly being dreamed up by hackers. Most websites using Apache servers,so find any website and go to http://uptime.netcraft.com/ now you need to check whether the website is hosted on Apache server or not. Now you see this Website use Apache server, this is very good news, because you can try Attack this Website. TACTICAL ADVANTAGES: SlowLoris' graphical user interface makes this program easy to use by all insurgents. 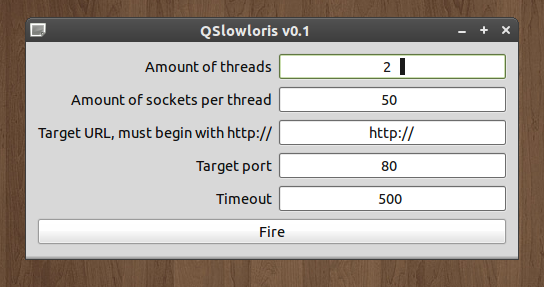 And Click " Fire "
now if a website is small then it will be Down for many hours and if it is Big then it will remain down only for few seconds or few minutes.